Al Jarsh Manufacturing offers a range of access solutions to suit different industry requirements. Our Ladders range includes Straight Ladders, Platform Ladders, Non Conductive Ladders and A-Type Ladders. 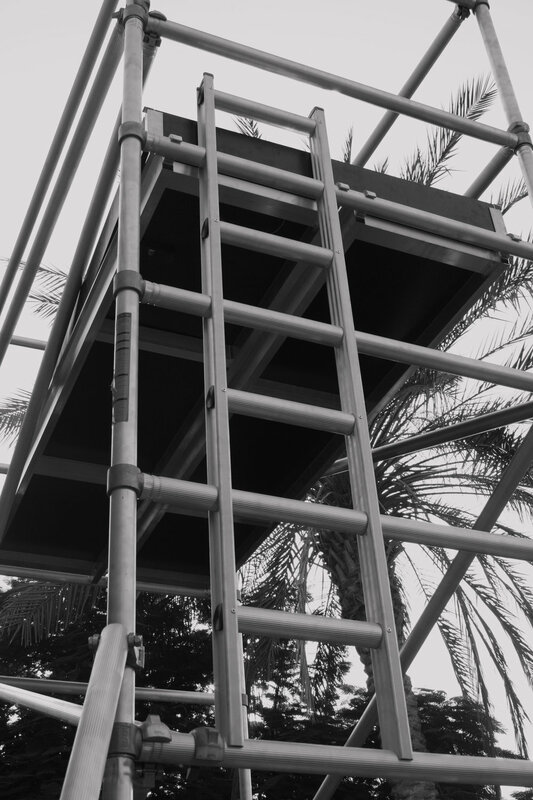 We are proudly the first brand to manufacture A-Type ladders in the U.A.E. Our aluminium Scaffolding range include lightweight and easy-to-use products, that are especially useful for maintenance, installation and warehousing needs. 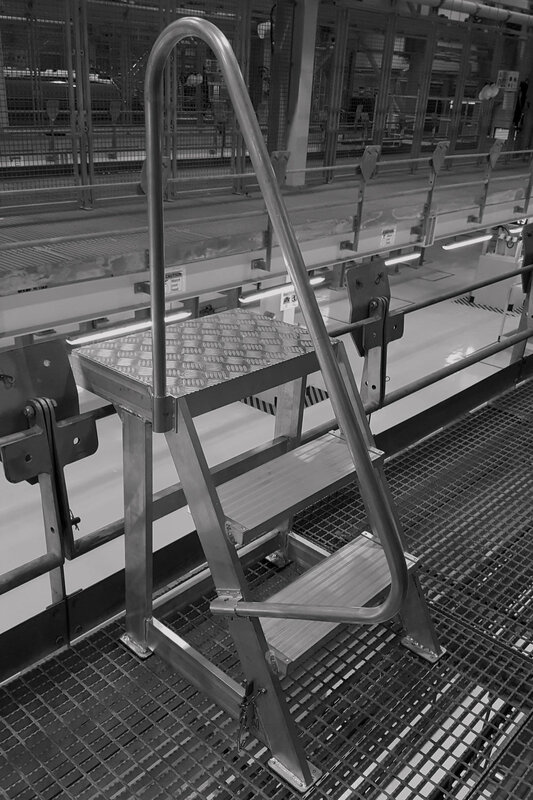 We also offer bespoke Industrial Access Solutions suited for complex, specialised requirements. Constructed using high-quality and durable materials, our ladders possess high load-bearing capacities and enable users to scale greater heights. 90% of our product range is made from aluminium. The metal, has numerous features making it an ideal material for ladders and scaffolding. Given its light weight properties, it has managed to replace most traditional steel and wooden ladders, which have been used for decades. All our steel components are galvanized or zinc plated to prevent corrosion. Integrating steel in parts subject to maximum use ensures greater durability. The steel components are small and therefore do not have much impact on the overall weight of our products. Fibreglass does not conduct electricity. Fibreglass is best used for applications where worker safety is essential, as fibreglass provides superior insulation against electrocution. Fibreglass is light-weight and durable; it is a preferred choice material for high-voltage environments. Plastic components are made using an injection moulding process. Types such as PVC and HDPE are used to create unique product accessories. These components play a substantial role preventing injuries by providing a protective layer, in addition to their anti-slip properties. Our wooden ladders are made from hardwood with high load bearing capacity, ensuring they can withstand rough use at construction sites. Additionally, our scaffolding platforms are made from high-density marine plywood allowing for greater load bearing capacities. Main joints in our aluminium products that undergo maximum wear and tear are all made from high pressure aluminium die-casting. Sand-blasting and sand-casted moulds are completely avoided in our manufacturing processes as they lead to inferior and less durable products.